250th release on Lemongrassmusic ! 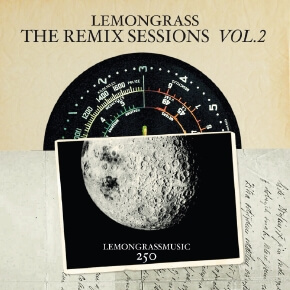 With „The Remix Sessions Vol.2“, Lemongrassmusic present the 250th anniversary release on the German music label. From the first chord to the last strings, the remix album bewitches all senses, emanating a beguiling flavour which keeps the listener enthralled. Beautiful vocals cuddle with Pop, Samba, Bossa, Jazz, Drum’n’Bass and Trip Hop sounds. Within the top-notch track selection, each track finds its perfect place. A multi-faceted, flawless listening pleasure. “The Remix Sessions Vol.2″ is the result of extensive, passionate remix activities of the years 2008-2017. Unlike its predecessor Vol.1 it does not only consist of remixes that Lemongrass (Roland Voss and Daniel Voss) have made but it also contains Lemongrass tracks remixed by other artists. Gushi & Raffunk (Italy), Zero Cult and Al Kane (Russia), Capa (Norway) and Eskadet (France) enter into a perfect symbiosis with the sounds and styles of Lemongrass. With their international diversity, Lemongrass underline one thing: The world is sound !